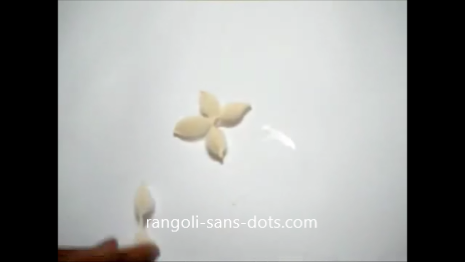 We can use different techniques to get beautiful cotton haara or garlands for festivals ( Varamahalakshmi Habba or Ganesh Chaturthi ). The video is one of them. Use cotton that is sold in Puja stores . 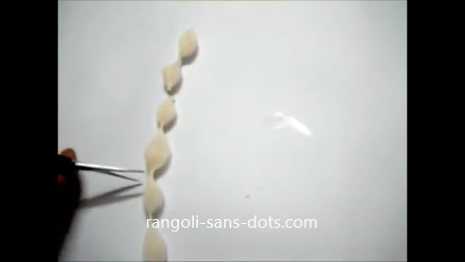 Make the cotton workable as shown in the video and depending upon the thickness we can use a single strand or split into two. I have split the cotton into two . 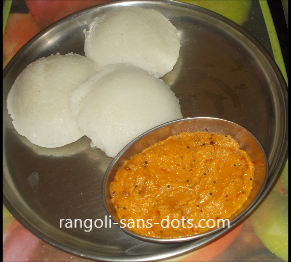 Using milk or water make the traditional cotton hara or gejje vastra as it also called. Fold it into two. The rest is easy. At the narrow portions stick decorative trinkets using fabric glue. A different type of decorative trinket is stuck in the remaining gaps. We need thread or string for tying the garland to the idol of God or Goddess or kalash. 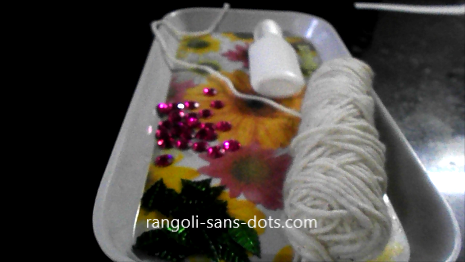 Decorative threads are available in craft shops and that thread can be fastened to the haara as shown in the thumb nail in the video below. Cotton crafts are among the most popular craft ideas for school projects and other craft ideas. 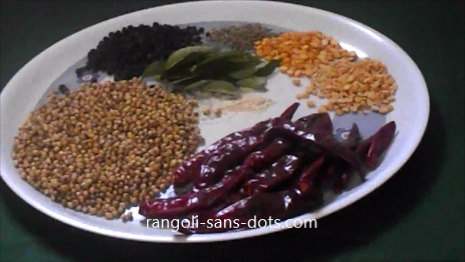 Traditionally cotton is also used in Pujas for vastra in India . 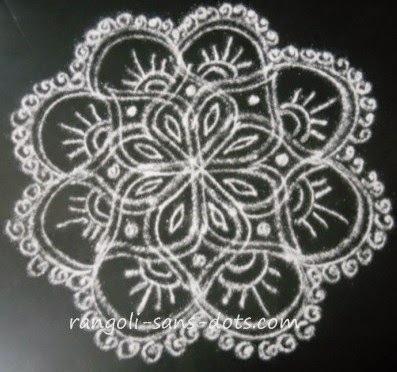 We can also use cotton for craft ideas for decoration of God and for festival decoration. 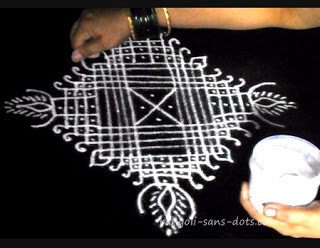 Some traditional and novel craft using cotton are shared in this post. 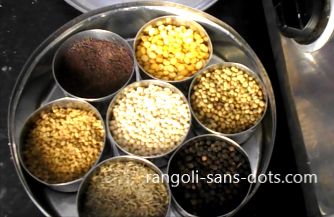 Rangolisansdots is mainly about rangoli but there some craft and recipe ideas and recipe ideas related to festivals ( called naivedyam ) so that Rangolisandots will be useful for many purposes for many people. 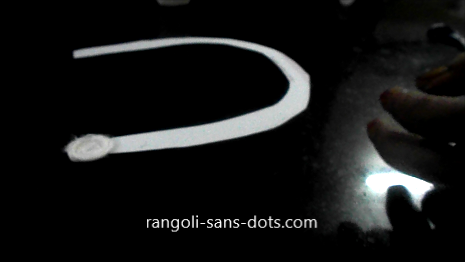 This is the traditional cotton garland for God ( also called panju thiri malai or gejje vastra ) which is used to decorate Gods and Goddesses . 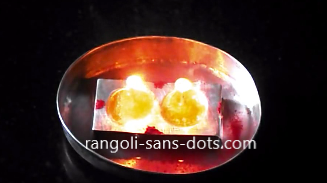 The two cotton pieces at the ends are dipped in kumkum mixed with water to hold the vastra. The belief is that we offer new clothes or vastra to God. 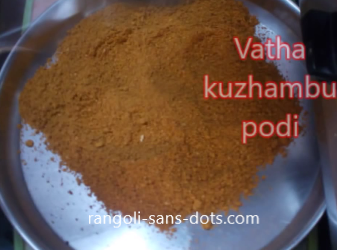 While for Varalakshmi Habba or festival and Navratri , Sravan Sukruvar we use kumkum to decorate the vastra , for Ganesh Chaturthi decoration and Naga Chaturthi we use turmeric powder mixed in water For Varalakshmi Vratham we use 25 cotton ball vastra for Ganesha Chaturthi we use 21 cotton ball vastra. 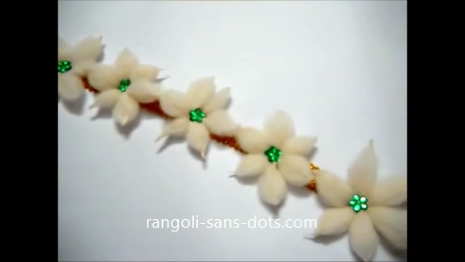 This is an easy and simple cotton garland for school projects and festivals like Navratri, Varalakshmi Vratham and Ganesh Chaturthi. 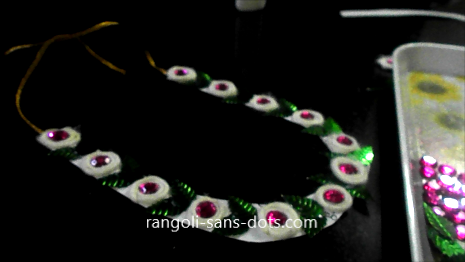 The material required are cotton thread , kundan stones , chamki in the shape of a leaf , golden thread or lace. 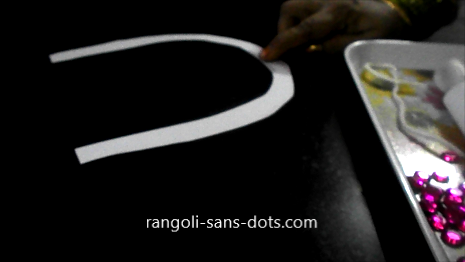 Cut the cotton thread to required length and roll as shown in the image below. Then stick the rolled cotton thread to the garland base using glue. The garland after completion is also shown in an image below. 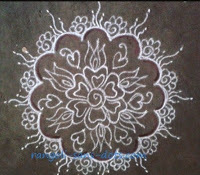 Children can make it quite easily and it is easy for us also the create simple home made projects for drawing room decoration or for festivals like Navratri ( Dussehra ) or for Christmas decoration and New Year too . Also can be used as a summer camp craft idea for children. Nowadays summer camps are common where structured play is very common , what we did in our childhood was unstructured but joyful i.e no one decided our activities during our holidays or spare time , we decided them individually or as a group of kids. 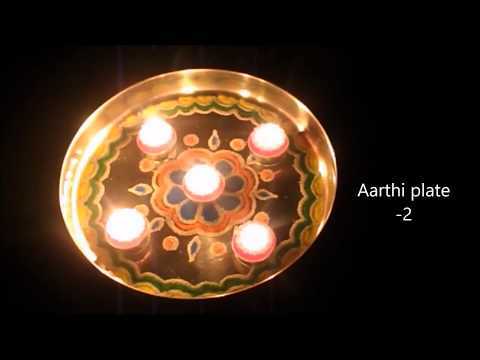 can you please show me how to join 2 wicks for lighting vilakku. If you are buying ready made cotton wicks ( not thread ) from the market, keeping two wicks together and rolling them using our palms should be enough for joining them . Hi, New to your blog. Thank you for your clarification, shall try with the other cotton. btw, your are gifted to be this artistic!